Sometimes being popular costs. In the summer of 2015, Marc Signore and his girlfriend Corinne had eight weddings to attend, six of which required travel outside their home state of Connecticut. Marc tallied up the expenses that come with out-of-state weddings and realized the costs could derail a more important journey he’d hoped to embark on: marriage to Corinne. Marc was ready to propose. He’d been saving to buy a princess cut diamond engagement ring. He was determined to not let his friends and family down, but most of all Corinne. How could he finance it all? Marc decided that he needed to supplement his savings to pay for the summer’s big events, including his proposal. So he reached out to one of his many friends, of sorts, to help him out: Discover Personal Loans. Discover had been there for him before. He said he had a good experience with a debt consolidation loan from Discover in the past, and he has also been a card member since 2008. Marc bought the engagement ring from a “little old Italian jeweler.” He had it custom-made with a 1 ½ karat princess-cut diamond plus diamonds along the band. “It took a month,” says Marc. Words in a card are a way for me to express my love for you. But, it is time for me to show you my love in a different way, a better way, a forever way. He presented her with the custom ring. She said yes. Marc and Corinne got married in September 2016 in Connecticut. Their wedding cost about $40,000, Marc says, which isn’t far off from the national average. According to The Knot’s 2015 Real Weddings Study, engaged couples are spending more than ever on their weddings. The average wedding cost is $32,641 in 2015, up from $31,213 in 2014, and that estimate excludes honeymoon costs. And that average wedding cost can vary by state. According to the study, weddings in the New York- Westchester/Hudson Valley area average $57,501. The study also says the average amount spent on an engagement ring is $5,871. 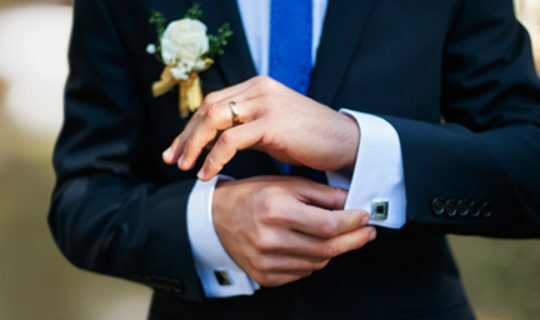 Wedding loans are one way to help pay for a wedding and related expenses, like the engagement ring and honeymoon. 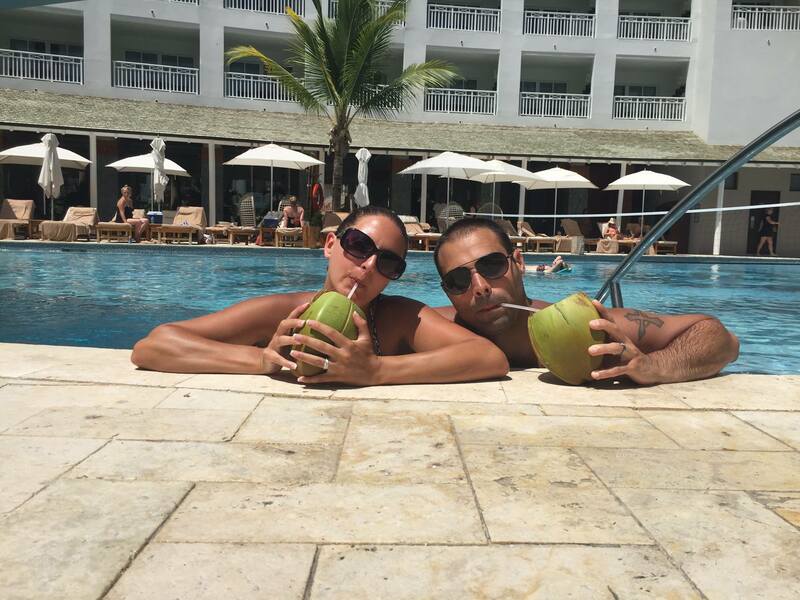 After the wedding festivities, Marc and Corinne jetted off to Barbados for a relaxing honeymoon. Marc feels that the personal loan helped get him over a financial hump so he could enjoy every moment of a busy year in his life. “If the interest on my personal loan is helping me live my life the way that I want to, I’ll pay it,” Marc says. He’s already dreaming about what may come next in life for him and Corinne, and how they could financially prepare. But most of all, he’s relishing in one of the most memorable years of their lives, and every part of it that a personal loan helped make possible.